Jennifer McNelly is the chief executive officer (CEO) of the American Society of Safety Professionals, stepping into the role on Aug. 16, 2018. She is the eighth executive director since ASSP was founded in 1911. 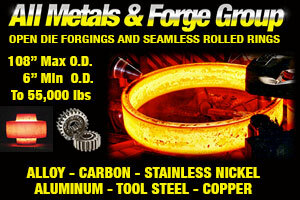 McNelly has 30 years of association, government, regulatory, and business experience. As CEO, McNelly advances the organization’s mission to create safe work environments worldwide through the prevention of injuries, illnesses, and fatalities. She works with the Board of Directors to execute ASSP’s strategic plan for growth while building on the Society’s legacy and addressing the evolving needs of the professional occupational safety and health community. She leads 75 staff members and more than 38,000 safety and health professionals around the globe, strengthening the Society’s position as a leading voice while fostering a collaborative culture of member engagement, performance, accountability and innovation. Prior to ASSP, McNelly was president of Indianapolis-based 180 Skills LLC, an online career and technical education company aimed at closing the manufacturing skills gap and transforming organizational and individual performance. McNelly also served as president of The Manufacturing Institute, the nonprofit affiliate of the National Association of Manufacturers (NAM), and the national authority on attracting and developing world-class manufacturing talent. Over nine years with NAM, she was a national champion in changing the perception of manufacturing careers and re-establishing the United States as the global leader in technical education. McNelly launched the national STEP Ahead™ initiative to increase the engagement of women in manufacturing and co-founded National Manufacturing Day™ to engage the next generation workforce. McNelly served at the U.S. Department of Labor as director of the Business Relations Group and administrator of its Office of Regional Innovation and Transformation. She has testified before Congress on manufacturing and workforce training and is past chair of the World Economic Forum Global Agenda Council on the Future of Manufacturing. A University of Maryland College Park graduate, McNelly earned the Secretary of Labor’s Exceptional Achievement Award and was named among the 100 Women Leaders in STEM. 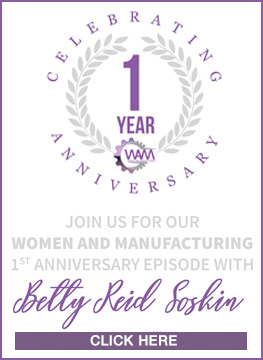 She also interviewed numerous accomplished women in manufacturing who inspire the next generation of industry leaders by serving as host on The WAM Podcast.